Vincas Greene was Chair of the Department of Dance at Brenau University in Gainesville, Georgia, and worked there for 21 years. Students adored him and affectionately referred to him as “Master Greene”. Upon leaving Brenau and moving to Spokane, Washington, to continue to develop his art form, Greene communicated to his students via a heartfelt letter. That letter, his “last message”, was so inspiring that we wanted to share it with our readers. Maybe you could empower your dance students with a similar message? I would like to preface this with the note that I love you. You all know Terpsichore is a hard mistress, and we empower her to keep her eagle eyes upon us so that we may constantly be prepared as her emissaries or, as Martha Graham calls us, “Athletes of God”. To this end, I must challenge you to accept these words from a teacher/friend/elder/lover who wants each of you to be the best artist, dancer and person you can possibly achieve. This entwines with our lives as dancers so well – Dance is passed from one person to another in a centuries’ old chain we can gaze back upon seeing our ancestors as they struggled, loved and taught each other, transmitting their knowledge, discoveries and passions over the years to our most recent teachers, to each of us and then on to our students and, in my case, to my grandchildren of dance. Dance is the physical manifestation of passion, and dancers are the vessels. We become so full of passion it leaps out as dance, love and art. No wonder the world sees us as sensual because our life is communication made physical. Even as our bodies begin to slow, our minds still rage with the exuberance of youth as we picture new dances forming and how our dream-perfect bodies would experience each movement. You can see it in the eyes of our elders as they describe to us past performances and new ideas – and we can also see it as their bodies still enact, as best they can, each nuance that is being described. But we know that for each of us, eventually, the body and the mind come to perfect stillness and the end of the dance, when the performer leaves the stage. The time between discovering our passion for dance and the stillness should be full of stories. A story to be spoken or danced is what we have to offer – to contribute to those with us now and those who will hear of us later. Remember, dance is the most ephemeral of the arts, so it is our stories that we leave behind when we leave the stage. I am challenging each of you to create stories that matter. Have experiences that will help you to live stories of excitement, challenge, trepidation, pain, redemption, love…stories that are powerful! 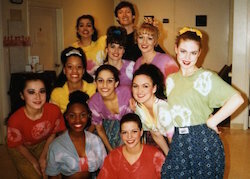 I remember talking to a highly accomplished dancer and having her explain some of her experiences with touring, choreographers and other dancers. She just considered them her own experiences. When I told her that she should tell those experiences to her students as stories, she looked at me with confusion. She didn’t consider her life as a story but just as a personal event. The idea that her life could be shared to teach, motivate, warn and even entertain came as a shock to her. 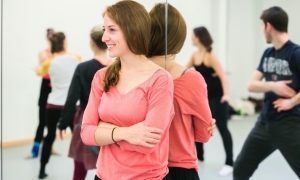 Her life is truly amazing, and she has started to share it as stories for her students, and the stories will be passed on now to illustrate that dance matters. The idea that my life and your life stories are to be created has me stirred up. As you sit here listening to me, check in with yourself. Notice what thoughts are being stirred up. Notice what you think you ought to be doing or pursuing. Notice what you think would be best for yourself as opposed to what others think would be best for you. Notice now the thought at the edge of your mind that is terrifying. The “if only” or “what if” thought that you immediately reason away – it’s not practical, that’s not possible, everyone would think I’m crazy, my parents/friend/lover would be so mad at me, that’s only for special people – whatever your excuse to cancel that thought out. That is the thought that stories are made of! Embrace that thought, challenge yourself to that thought, wrestle with that thought (like Jacob with God for his blessing), and find your path to your story. This will also take work and sacrifice. I am not saying drop everything and go a new way. You must discover, invent and plan your way. Being here is a wonderful way to follow this path. But while you are here and wherever you discover yourself in your story, you must embrace it fully. Don’t let yourself be set on cruise control, don’t take the easy way, don’t skip the steps that will make you learn and grow – these all lead to a boring story that you won’t even interest yourself in telling. As a dancer, this means learn your craft and craft your vessel. A flaccid leg is a smudge, not a line. It takes muscles to move your body, understanding to know what you want to achieve, desire to push yourself to excellence – dance must matter to you, matter to the very core of your soul! 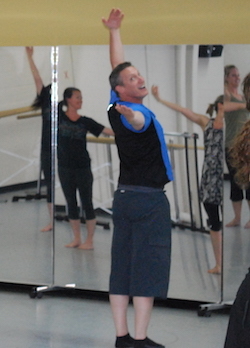 The first plié in class must matter to you. If it doesn’t, it is just wasted time, energy…wasted life. The dancer cares for each movement, as the poet places each word thoughtfully and carefully in the verse. Place your dancing in the middle of your love. Care for your dancing, learn your dancing, learn about your dancing, tell others the small stories you are creating about your dancing, carry your dancing with you; don’t leave it to be picked up in the corner of the studio whenever you happen to be there. Vincas Greene with Brenau University dance students. Photo courtesy of Greene. I believe dance as life is terrifying. To approach each day as the day to improve your craft, make yourself stronger, give yourself more knowledge, and challenge yourself to be greater than the day before is ultimately a scary life. There is nothing easy about choosing to dance – you must constantly defend your choice, challenge yourself physically and mentally, listen to constant critique, and believe that what you are doing matters – matters to yourself, matters to art, matters to our world. Be courageous in your belief that your life story matters. It is truly a risk to embrace the arts as life, and choosing dance among the arts is probably the riskiest. Following a path of passionate dance is not easily understood by our society. But our society also loves the underdog who takes a risk to pursue the elusive dream. Telling that story, your story, of how you are on the path is the story that draws people in to you. They are illuminated by the fire of your passion and excited by the depth of your dedication. Photo (top): Vincas Greene with Brenau University dance students. Photo courtesy of Greene.